Didn't his dad "Mongo" play for Detroit back in the 70's? You know with the "Waco Kid"
LMAO....Mingo and my fav Mongo! I was pretty down on Mingo, but the fact that he's worked his way into 90%+ snap counts and looks good on tape is huge. Great pickup. It also makes it less likely that KJ Wright will be here next year. KJ's getting older, he's got an injury history, and though he's never come across as a diva, Seattle having Mingo (and possibly Mychal Kendricks, once he's paid his debt to society next year) raises the possibility that Seattle's next contract offer to KJ will be less than some other stupid team out there. MontanaHawk05 wrote: I was pretty down on Mingo, but the fact that he's worked his way into 90%+ snap counts and looks good on tape is huge. Great pickup. The business end of the NFL teams are never warm and fuzzy, it's pure business and quite cut throat. It's therefore advantageous for players to get as much as they could on any given contract, and contact themselves in such ways that teams will not hesitate to acquire your services. I was quite underwhelmed when Mingo was signed this off season, felt like a bit of castoff after being release from team to team. Pete probably felt something about Mingo to give him a 2 years contract instead of a one year tire kicker. Somehow Pete has a track record to defensive reclaim projects, Mingo is having a career year right now. 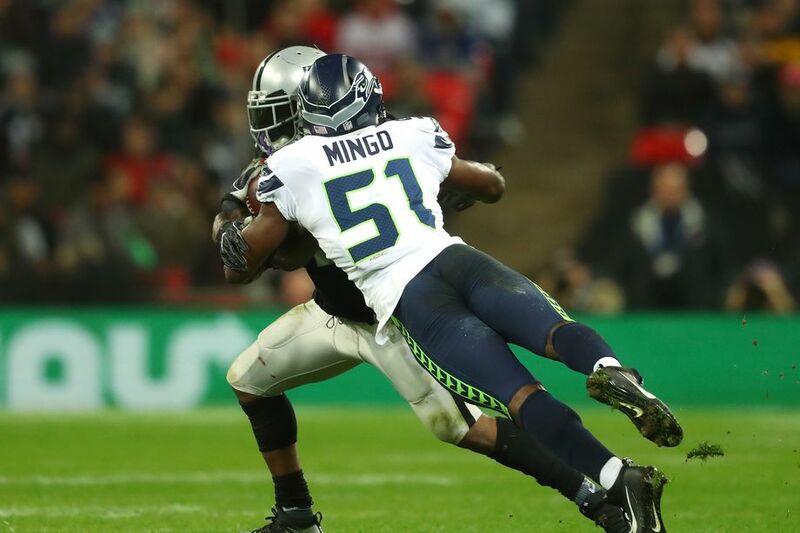 I am liking Mingo, he seems to be getting better as season goes on. Talking about reclaim project, if Dion can start contributing ... our defense will be even better.